The final year of an English degree here features two Special Subjects chosen by the student from a rather extensive list, something I’ve mentioned at least once in every blog post for the last half a year. I’d like to explain why I chose Literature and Culture of the 1890s, a module which seems a little self-conscious among such companions as Visions of Hell, Libertine Literature, Representing the Holocaust, and so forth. What makes the 1890s so special? It turns out to be a lot more exciting than it may appear when you look at what the 1890s actually entail. They entail the stories of Sherlock Holmes, Dracula, The Time Machine, the plays of Oscar Wilde and Henrik Ibsen, and the writings of the New Woman, and they entail the fin de siècle with all its degeration, decadence, and dissent. Yes, it turns out a disproportionate amount of the most popular texts in modern times were written in this exciting decade. Why is that? There was no Y1K Bug to worry about, so why did the end of the Victorian Period result in such an explosion of challenging and shocking literature? 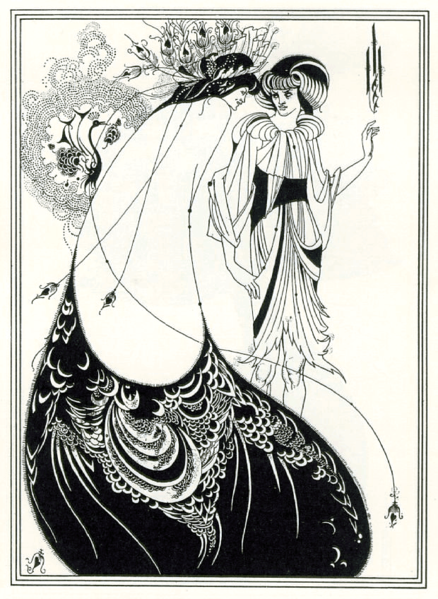 It was the decade to blame for Aubrey Beardsley, for a start. It’s too early to say. The module is assessed based on a 5000-word essay on a subject of our choice, and we all have a week in which we will start of the seminar’s discussion. Considering the Leicester English dissertation is only 5000 words, there’s really not much separating the two at this point. 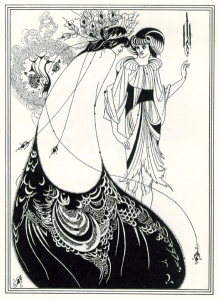 We’ll read all the above texts and more — more being Hardy, Gissing, and Dixon. The texts are so varied in character that everybody will have a favourite and, at the same time, you’ll be able to read out of your comfort zone. As much as I enjoyed Hardy’s Jude the Obscure, I’m also thankful that it’s over for the sake of my mental health. Not an optimistic book. Not an optimistic book at all. I’ll stick to lighter fare, like Dracula.